Hand-painted on wood, no varnish. This wall figure belongs to a collection, around 10 different motives by the same producer. Unfortunately there is no name on the backs. 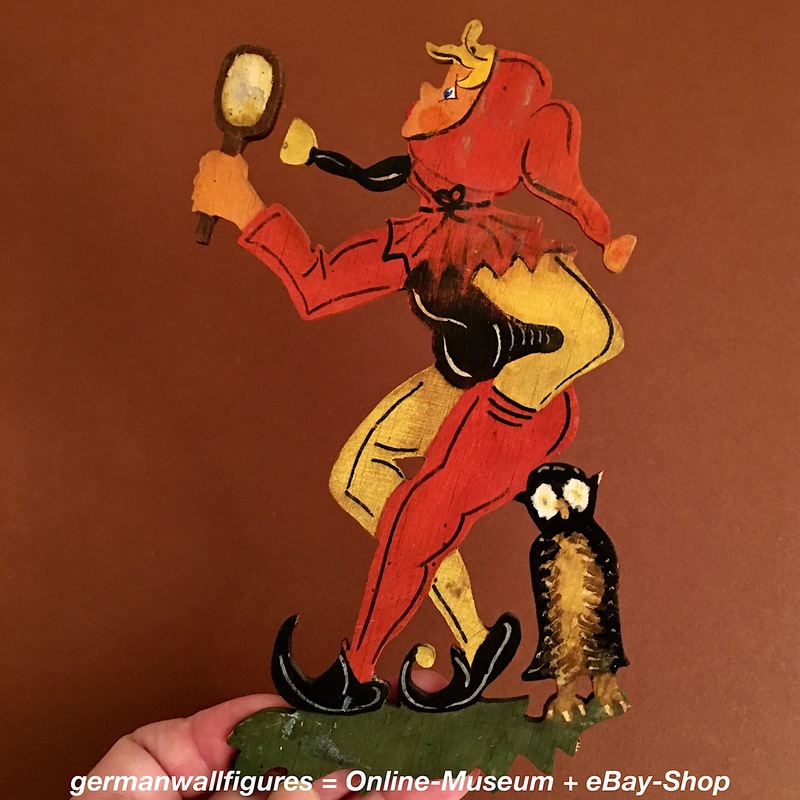 The motive is definitly Till Eulenspiegel, only looking like a woman. 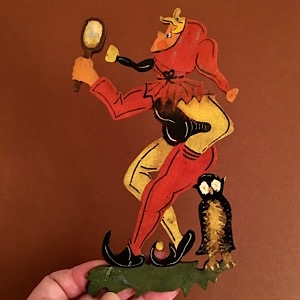 All three signs are there: The motley clothes, the hand-mirror and the owl.